Send Ezekiel to compete in Scotland! 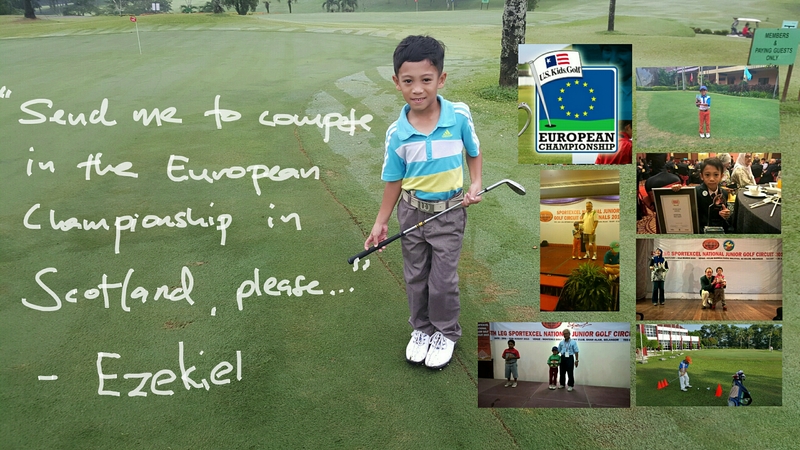 The project is about raising fund to enable Ezekiel Riz Hafi (7 years old) to compete in the US Kids Golf European Championship 2016. People told me he has natural talent. I don't really quite believe it at first, but after so many said the same, including Professionals, I started believing it. Now we need help to get him into the next level. 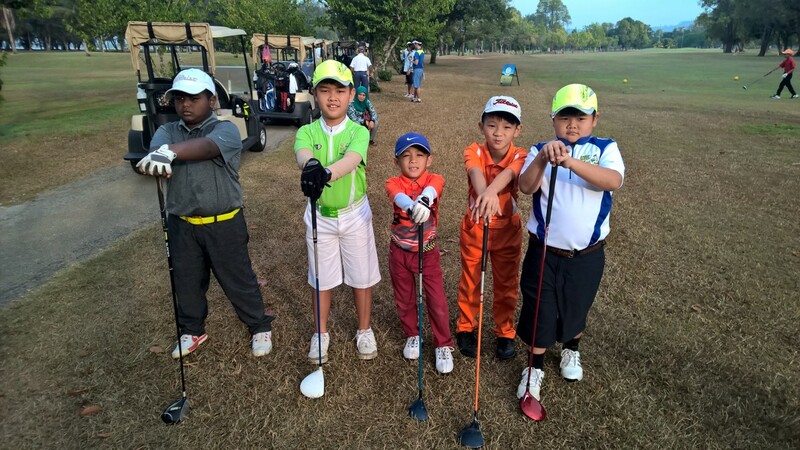 How did we receive the priority invitation to the USKids Golf European Championship 2016? 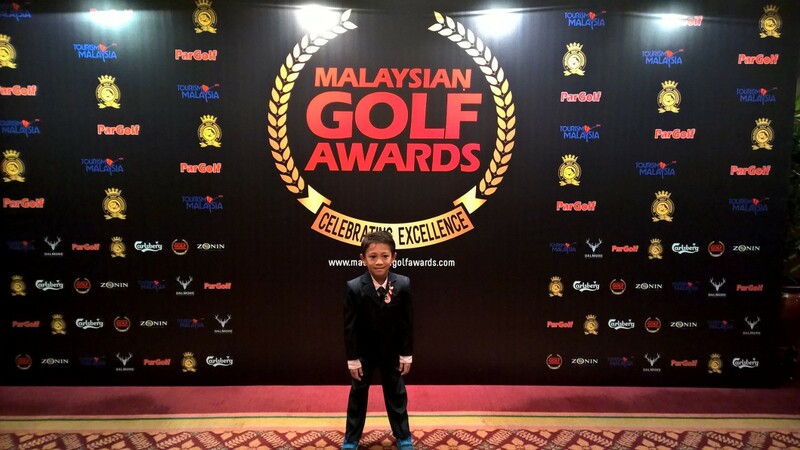 He competed in the Kids Golf World Championship Malaysia 2015 playing the under 7 category at the age of 6 Years Old. He finished 7th in that competition and was 2nd best 6 yo in the field (by only 1 shot). Based on that performance we receive priority invite to the USKids Golf European Championship 2016. Ezekiel now practices 6 days a week, 2-3 hours a day on average and sometimes more. My target is for him to finish in the Top 10, but his target is to WIN the competition. Let's see how much is he ahead or behind other internationals. How Much Do We Need and How Shall We Spend It? The Total cost needed to compete in Scotland would be almost RM 25k. But we are asking for RM 19k only. 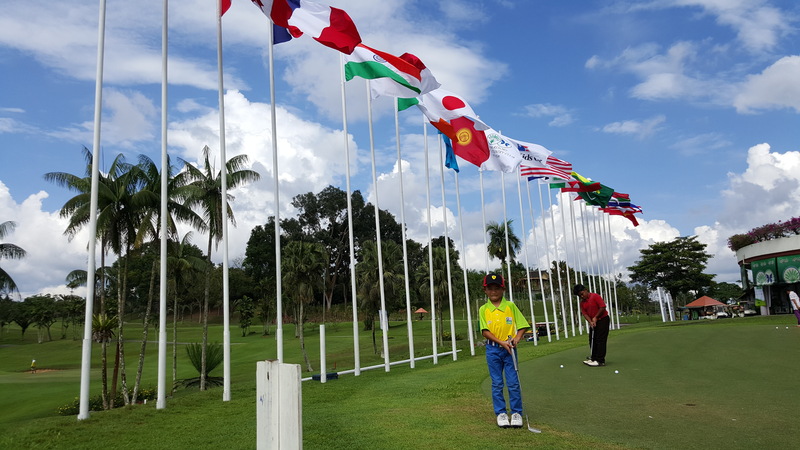 It does not matter what sport does the kid plays whether aquatics, athletics, football, badminton or golf, the amount needed to compete at international level would be almost the same. ** Air Travel rate based on skyscanner.com and changes over time. Again, we are asking RM19k from the total Direct Cost. Why do we Need the Help? 1.Ezekiel is so young and not under any squad or program. So he is not under any financial help. 3.The above cost is not inclusive of at least 6 local tournaments that he will be entering throughout Malaysia in 2016. 4.Ezekiel has another sister making the grades too and the cost above does not include his sister's training cost. 5.Ezekiel need to start playing abroad if he is to challenge our international prodigies. As father, sending Ezekiel to play abroad is out of my means at the moment. But I believe it is still possible with your help or suddenly if I get some "Durian Runtuh" (Financial luck!). So, please help this up and coming star get to the next level, by sending him to play in Scotland against the world's best. Producing champion definitely requires financial stability, and we will really appreciate your support! Thank you! -Ezekiel Signed Thank You Card. - Jason Dufner's Golf Ball.